Being a guest instructor at Starfleet Academy is hard. You’re only human (presumeably), you’re volunteering your time on a hectic schedule, and you’re always rushing between hair-dye jobs in a valiant attempt to make you look as young as you did when you became famous. So, you’re bound to lose some missions from time to time. Could happen to anyone. Fortunately, seven of Chekov’s best were found and plopped on an expansion CD, along with the most current, and last, patch for the original game. The titular missions come from varying unused simulations from Starfleet Academy (which will you will need to have installed to play this expansion). As I mentioned in my review of the original, it felt like the FMV storyline was losing focus, production time, and budget around the middle of the game. The cast, locations, and “look” of the video for these new missions are identical to the ones in the original, suggesting these sequences were shot at the same time. It supports the theory that the original was indeed going to be larger, before they ran out of FMV plot movies to drop between the missions. There would have then been a move to throw some of the missions out to tighten up the story, and these appear to be the ones that got the axe. The result is very much like a DVD’s disjointed collection of deleted scenes. "Velcome cadets, to my lost missions. Now I will disappear for the rest of the game." 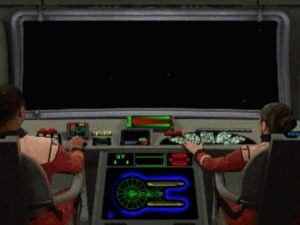 While many of the missions in the original game were tied together in plot or sequence, Chekov’s seven are all stand-alone and unrelated. Some characters from Starfleet Academy return and reference the outcome of those previous encounters, but this serves mostly as a nod to those who beat the original. The expansion missions are also not connected by FMV academy scenes. To make it clear, this is not a continuation of the plot from the first game, or a new package with a connected plot of its own. Instead, these sorties are simply selected from the list of “completed” missions on the main menu. 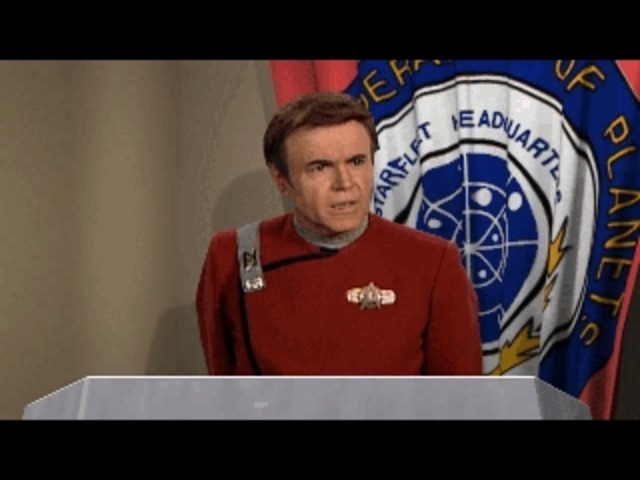 You will get a unique video briefing before each one (oddly, Chekov only introduces one of them), but your de-briefings, with the exception of two, are the generic “You have dealt with overwhelming odds in a manner consistent with the best traditions of Starfleet…” praises. While Starfleet Academy would often let you know how you did on certain key tests of character (“Good job on making peaceful contact with a new alien race.” etc), you generally won’t know here if you took the optimal path. Because I was asked, and because it’s a fair question, I presume that the game is titled “Chekov’s Lost Missions” because it was established in Starfleet Academy that Chekov was heading up the programming and implementation of new simulator trials at the time you’re enrolled. It has nothing, really, to do with Chekov at all. I was sort of expecting these to be connected missions along a common theme, like the “Matryoshka doll” series of missions that Chekov introduced in the original. No such luck. They really are just a compliation of the ones that didn’t make it into Academy. All but one of the missions are significantly longer than any of the originals, which does help elevate the value of the pack. They are also far more “talky.” Now don’t misunderstand – there’s still an excessive amount of ship vs. ship combat. However, there’s much more investigating and dialogue options going on than there were before. This does result in a game that drags on multiple playthroughs; you’ll go through significant exposition and hailing scenes before you get to the combat, die, and have to start over. 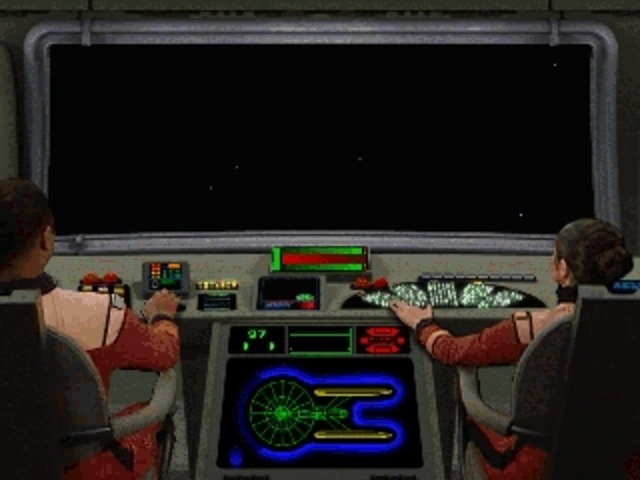 But as with the original game, you can use the escape key to bypass sections of speech and skip right to the choice menus, and then back to commanding the ship. They also encourage multiple playthroughs, to see what happens by making different decisions. These are not the simple “fight” or “don’t fight” options from the first, but unique options that have in-mission consequences. The patch brings the game up to 1.25 and offers some welcome additions over the 1.00 original. First are shield indicators on the damage displays for both enemy ships and your own. This is most helpful in steering your ship to protect vulnerable areas, and far more helpful than your engineer’s barrage of “Portside shields are hit!” alerts. External and left/right/behind views have also been added to the function keys. The original had only a forward view and the radar, making tracking ships a frequent nuisance. The multiple views do help to alleviate this. Yet the biggest advantage of these views is the ability to utilize ships’ rear-firing weapons. New phaser indicators have been added to track these other arcs.You will have to switch to the rear view to use them (the game doesn’t know to fire them instead of the forward weapons if the ship is behind you), and they turn out to be reasonably useful, though far from required. But is nice to have the option to keep firing on a speedy ship, or continue fighting while moving your damaged forward shields away from an attacker. A handful of new multiplayer and graphical options round out the patch. If you already have the 1.15 downloadable patch for the original, it includes all the additions here, except for two multiplayer modes. Because of this, it’s nearly impossible to recommend Chekov’s Lost for the patch. If you manage to get both at the same time (when I bought Starfleet Academy on Ebay, it came with this disc too), then it’s worth installing Chekov before you begin. The patch updates will carry over to your regular SA missions. Aside from that, Chekov’s and its mother game share no interdependence. There is no expansion of the storyline, there’s nothing in particular you’ll be missing out on, and there’s no additional Shatner footage. The seven missions are some of the best, especially if you’re looking for more than pirate fights and Klingon border brawls, but these missions are by no means mandatory. It is a decent buy if you’re getting it at the same time you’re getting Academy, but hard to recommend if you’ve already played the original game long ago. Seven extended missions, most of which are far more involved than those in Academy. Patch offers nearly nothing over the free 1.15 update; missions are all stand-alone with no expansion to Academy’s story.